The decision to relocate to the borough of Fair Lawn is a smart one. This Bergen County town is considered as one of the top locations in New Jersey. And it definitely holds the potential to become that perfect home for both you and your family. All you need to do now is find the perfect Bergen County movers to help you make that first step. And you can hardly ask for better professional assistance than the one our Fair Lawn movers NJ can provide. So, here are some considerations to help you make your decision. What makes a professional moving company fit for your needs? Hiring a professional relocation company is like purchasing any other service – you want to get the best value for the money you pay. The only difference is in the purpose of the services you get. In this case, the goal is to secure a stress-free relocation to your new home in Fair Lawn. And the best way to secure this is with the aid of expert and reputable Fair Lawn movers NJ. 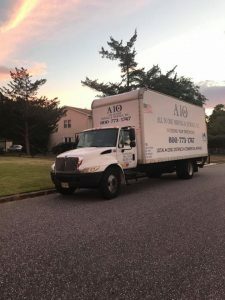 Once you actually start looking up top-rated local movers NJ, you will find that All in One Moving and Storage is the best choice to go with. Our years of experience in the moving industry has taught us countless ways of making your relocation a pleasant and positive journey. 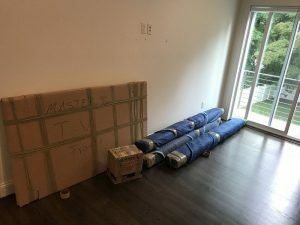 So, if you are interested in moving to New Jersey in a stress-free manner, you will find that our Fair Lawn relocation experts are more than qualified for the job. Every good business knows that the needs of the customer come first, but not all companies are able to deliver on this statement. This is not the case with All in One Moving and Storage. When we take on a job, our Fair Lawn moving specialists NJ devote all their effort and resources to make it count. We do our best to conduct any local relocation in New Jersey as if it were our own. That way, we find the perfect balance between offering professional moving and storage services and enjoying the work we do. Our moving crews make sure to pack you with absolute devotion. Stress, expenses, exhaustion – these are terms that most people think about when faced with the challenge of relocation. But that is not something our Fair Lawn movers NJ believe in. It is our goal to change public opinion and offer customers a positive relocation experience. After all, you are going to end up investing a whole lot of time, money and overall energy into your move. So why not make the best of it and have some fun along the way? People are always concerned with the expenses associated with the moving process. Will you be able to fit everything into your moving budget? Are there going to be hidden costs and risks to worry about? Well, this is not the case when you call our Fair Lawn relocation team. Not only do we have high-quality moving services to offer you, but we also have the moving estimates to match the offer. Affordability plays a key role in your search for the right Fair Lawn movers NJ. Our goal is that you be satisfied with the services we provide. 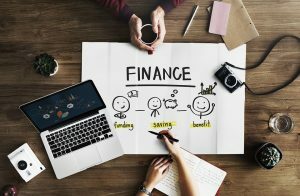 This means that we look at your relocation budget as our own, and will always offer the best possible solutions that benefit you as the customer. After all, we all have our roles to play in order to ensure a trouble-free move. Not everything comes down to having the right tools for the job. Instead, one should always start with the people doing the work. Are they qualified enough? Can they offer an assurance of a safe and reliable relocation? And this is why a good relocation company needs movers that are trained and capable. So, this is exactly what you can come to expect from our Fair Lawn movers NJ. And to provide this, we tend to ensure that all our employees have the best training and skill set to aid in your residential relocation to Bergen County. Give Fair Lawn a chance and you might just discover that you fit right in. Radburn: the first planned community and the Old Dutch House Tavern. There are three shopping districts along Broadway, River Road and Fair Lawn Avenue and two train stations serviced by New Jersey Transit into New York City and points north. So, we are quite sure that if you decide to give this Bergen County gem a chance, you will not regret your decision. All you have to do is call our Fair Lawn relocation team and we will take care of the rest.